Continue Reading "Shinryaku!? Ika Musume – 11"
Continue Reading "Shinryaku!? Ika Musume – 10"
Continue Reading "Shinryaku!? Ika Musume – 09"
Continue Reading "Shinryaku!? Ika Musume – 08"
Continue Reading "Shinryaku!? Ika Musume – 07"
Continue Reading "Shinryaku!? 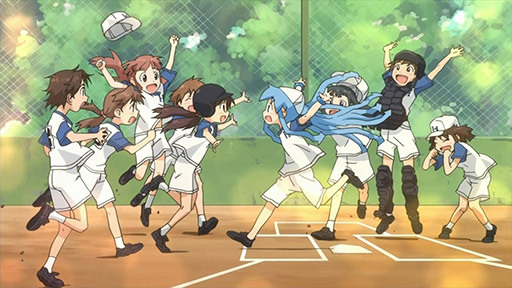 Ika Musume – 06"
* Note: Ika Musume will be on break again next week so that the other broadcast stations can finally catch up. Continue Reading "Shinryaku!? 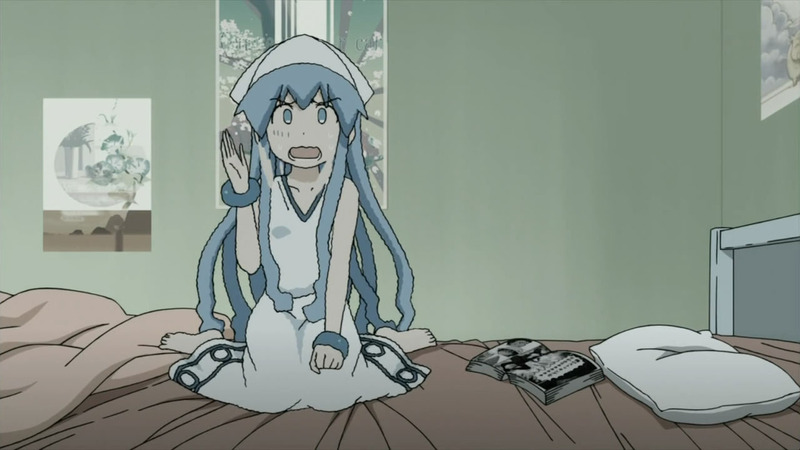 Ika Musume – 05"
Continue Reading "Shinryaku!? Ika Musume – 04"
Continue Reading "Shinryaku!? Ika Musume – 03"
Continue Reading "Shinryaku!? 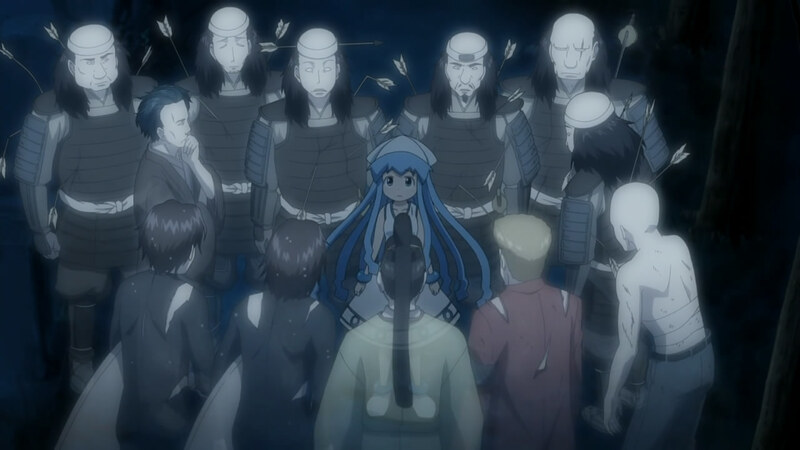 Ika Musume – 02"
Well, there’s no knocking Ika Musume (Kanemoto Hisako) for trying to continue with her invasion plans, but seriously now, what’s a squid girl to do against the likes of Chizuru (Tanaka Rie)? Continue Reading "Shinryaku!? 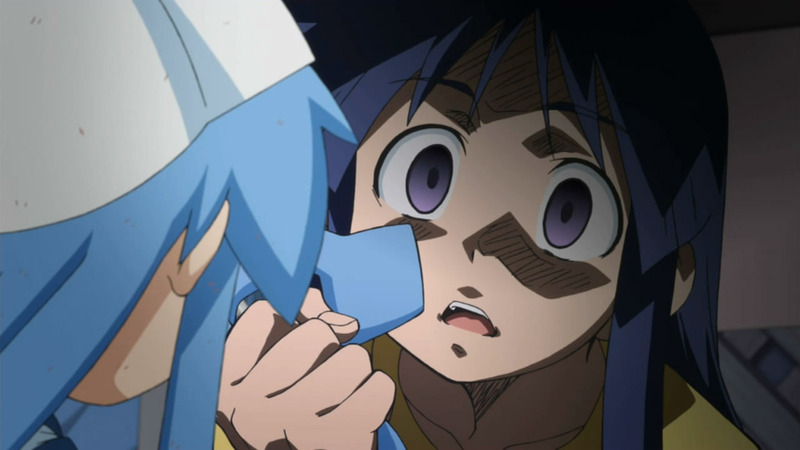 Ika Musume – 01"
They aren’t allowed to end things off on such a sweet note are they? They may have broken practically every rule in the book when it comes to beach volleyball, but this final episode went all out in a tournament that saw Ika and Eiko as an unstoppable duo. Everyone got involved at some point as well, giving the sense that they were going to go out on a high. 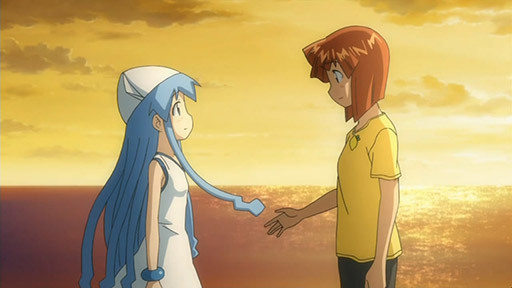 That is, until the last two mini episodes headed in a completely different direction with Ika’s return to the sea. Continue Reading "Shinryaku! 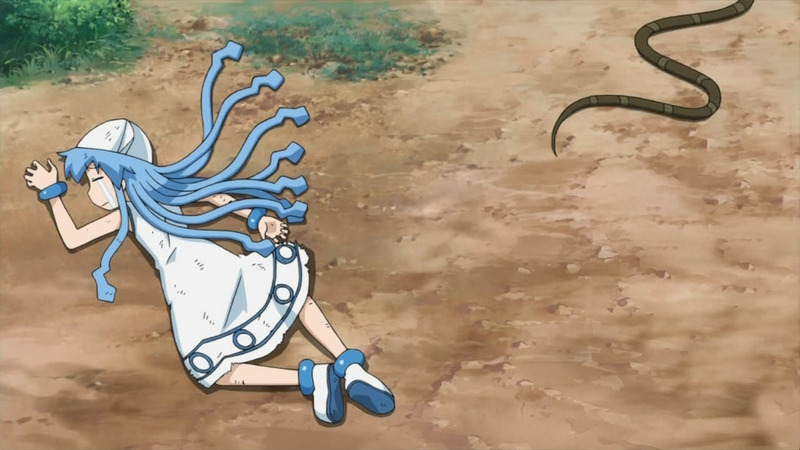 Ika Musume – 12 (END)"
Ika takes a page out of Gorou’s book to try and look cool. Creepy dolls, invisible American scientists, and mountain climbing. 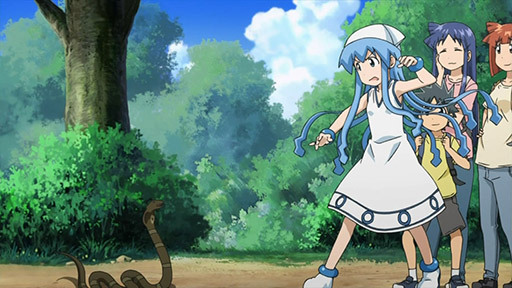 This wasn’t an overly hilarious episode, but still had its moments when Ika was scared to death of Eiko’s old doll (as opposed to ghosts) and received a beat down from a king cobra in the mountains. Continue Reading "Shinryaku! 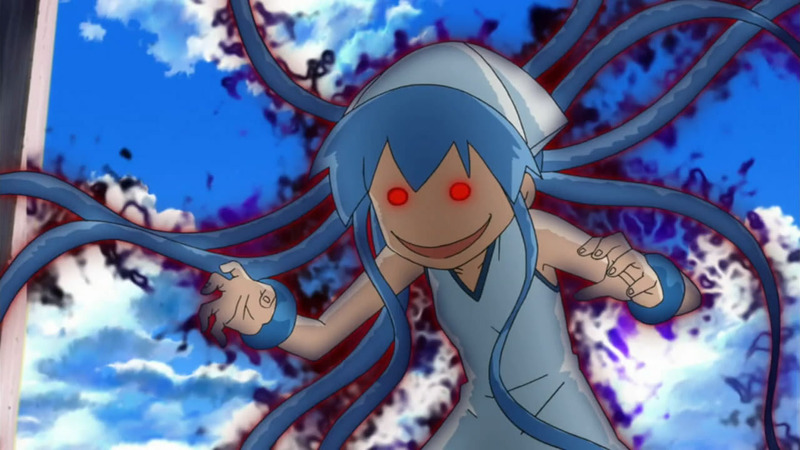 Ika Musume – 11"
Ika may draw like a two year-old with her hands, but it’s a completely different story when her tentacles grab hold of a pencil and she churns out masterpiece after masterpiece. Best of all, her drawings were in “squid vision” and gave us an inside look at how she perceived everyone. Eiko and Chizuru’s amazement over her artistry combined with their shock from her perception of them as a killer robot and demon respectively resulted in some priceless reactions. 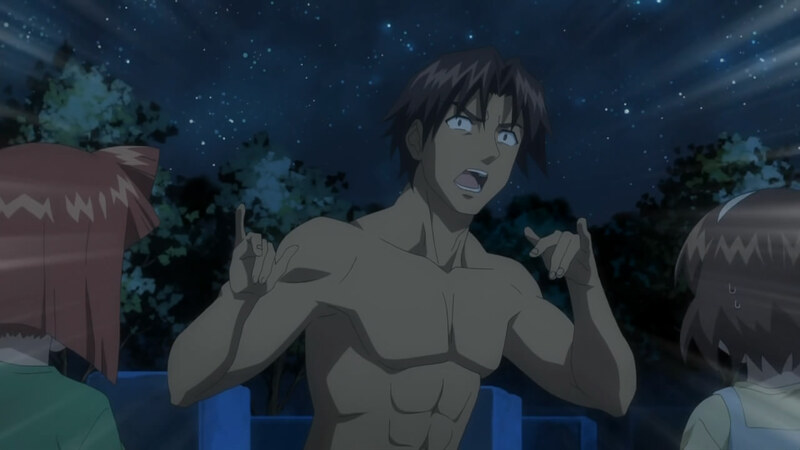 Continue Reading "Shinryaku! Ika Musume – 10"